Sporting events are getting more and more connected, and the just-concluded World Cup is no exception. Brazilian telecom provider Oi made sure that no expense was spared in ‘connecting’ the World Cup , and even claimed that this year’s event is in fact the most connected in the history of the World Cup. Oi claims that they provided connections to all twelve host stadiums across Brazil, resulting with 32 terabytes of data being generated by the media, sponsors, volunteers and FIFA officials in just ten days. More than 152,000 unique devices (smartphones, tablets and laptops) have been connected to the public Wi-Fi networks installed in the host stadiums. Online users all over the world looked for news and updates about the World Cup and made themselves targets for cybercriminals and their socially-engineered threats. Public Wi-Fi networks may keep sports fans online, but their insecurity may lead to them being hacked and their personal information being siphoned. 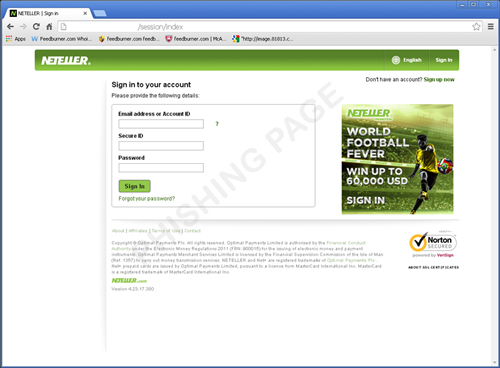 World Cup-themed threats have popped up left and right, from phishing websites to spam to malicious mobile apps. One particular phishing scheme managed to snare more than 3,000 users in a span of 72 hours. Most of the victims came from connected countries such as the US (19%) , Japan (14%), Germany(12%) and France (9%). This message lured users into handing over their login details using a fake US$200 prize, as well as a legitimate promo with a hefty cash prize. The promo itself was themed to take advantage of the World Cup—and this in itself may have resulted in such a large amount of victims in a small amount of time. We’re not saying that sporting events becoming more and more connected is inherently a bad thing. However, being connected in this day and age without being secure IS inviting trouble. While telecom providers can help, the ultimate responsibility of being secure is on users. They must protect themselves so that at the end of the event, they’re left with fond memories and souvenirs—not malware infections that will result in depleted bank accounts and compromised devices. In order to help drive this message home—of sports fans looking after themselves in terms of online security—we decided to run a survey on our Race to Security website and see just the kind of sports fans our visitors and readers mostly are. From there, we figured out the most common type of fan among our readers, and how they should secure themselves. We’ve also made sure to include tips for everyone to take heed of no matter what kind of fan they are. To find out the results and more information about protecting yourself during sport events, check our latest infographic, What The Race To Security Survey Says.